The Russian tricolor was projected onto the World Anti-Doping Agency (WADA) headquarters in Montreal, Canada, as part of a light show staged by Russian fans in protest at the body’s actions against national athletes. WADA's headquarters were illuminated in the colors of the Russian flag and showed words of support for Russian athletes who have been accused of doping violations. “The only doping among Russian Olympic team is the support and love of Russian people. Russians are coming,” the illuminated inscription read. 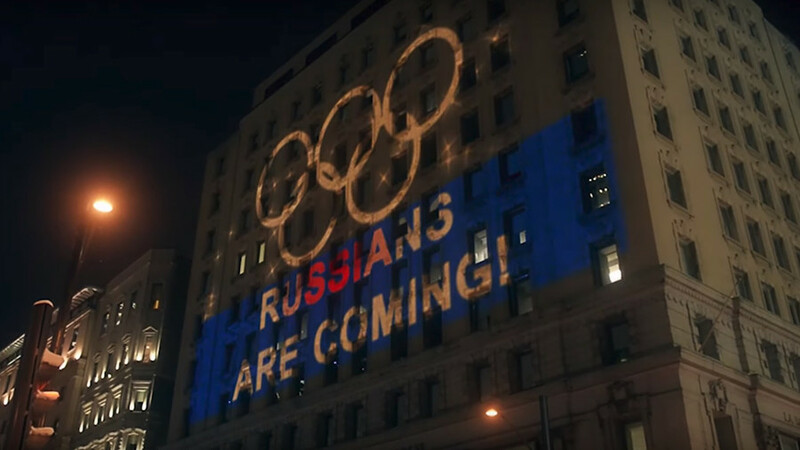 In the video, which was uploaded on YouTube on February 7, but reportedly was filmed in January, the organizers said they had orchestrated the light show in front of the headquarters of WADA in response to “dastardly acts of WADA and the IOC [International Olympic Committee]” towards Russian athletes who have been barred from the 2018 PyeongChang Games. “By this light show in front of the headquarters of WADA we want to tell the whole world that the only doping among the Russian Olympic team is our support and love,” they said. In December, the IOC disqualified Russia from the upcoming Winter Olympics in South Korea as a result of the investigation into the country’s alleged state-sponsored doping. Forty-three Russian athletes were slapped with life bans for any future Olympics and had their Sochi records and medals annulled by the IOC. Despite the fact that the Court of Arbitration for Sport (CAS) overturned the IOC bans on 28 eight athletes and dropped all the doping charges against them, the Olympic governing body refused to invite the cleared athletes to PyeongChang. A total of 47 Russians are currently appealing their non-invitation to the Games in the Ad Hoc Division of CAS. The decision is expected to be announced on Friday morning, just hours before the PyeongChang opening ceremony.